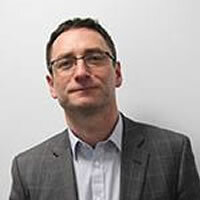 Robert splits his time between MLS and the University of Sheffield, where he also holds a Professorial position. Robert’s previous academic positions include posts at the Australian National University and King’s College London. He has been a Herbert Smith Visiting Fellow at the University of Cambridge and Visiting Professor at the Benjamin N. Cardozo School of Law in New York. Robert teaches and researches in the field of intellectual property law, focusing on copyright and trade mark law. He is the author, with Allison Coleman, of Copyright Exceptions: the Digital Impact (Cambridge University Press, 2005) and, with Michael Handler, of Australian Trade Mark Law (Oxford University Press, 2010; 2nd ed. 2016). His work has been cited by the High Court of Australia, the Federal Court of Australia, the Supreme Court of New Zealand, the Court of Appeal of England and Wales and in an Opinion of an Advocate General to the European Court of Justice.